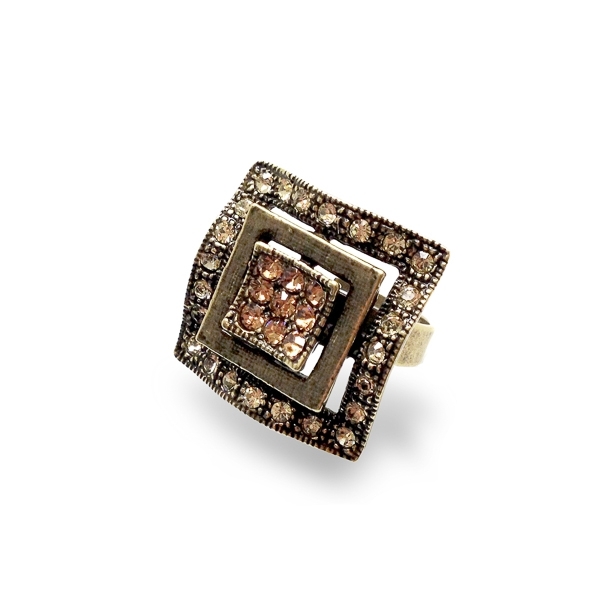 Description: Oxidized bronze plated geometric style textured ring with light Colorado topaz crystals set in center and borders. A tarnished look with a modern touch this ring is adjustable and fits most. Material and Measurements: Oxidized Bronze Plated Base Metal, Crystals - Focal Point 1" X 1"